2x Flags says he is. Aren’t all clubs building towards their next flag? If you think the Swans are building towards a flag this discussion is completely pointless and we can end it now. If L FRANKLIN! was available and you had the final say on his selection, would you decline him a spot? But all club’s are. Even Fark FC. Some do it better than others. The record suggests Sydney do it pretty well. Depends how much it ■■■■■■ the selection of the rest of my side. So I’d have him in a heartbeat, if he came at the right price. He is a superstar of the competition and the best forward since Carey, there is absolutely no question about that. But you aint won ■■■■ with him in your side and you aint going to. No mate. They’re not. And right now, the style of footy Horse has Sydney playing, they are ■■■■■■■ miles off it. ght now, the style of footy Horse has Sydney playing, they are ■■■■■■■ miles off it. but horse beat more finals teams than anyone else in the comp bar Richmond during regular season. Swans had a tough draw, and were beat up when finals came around. Mills back helps, plus they finish in finals and pickup a top 4 prospect in Blakey which is ludicrous North Screwed over again. Will also get another shot at the draft with hanneberry pick. Swans method is too pickup rookies on cheap wage and pay first 15 good money and rest stuff all and draftees. Biggest worry for swans is decline of Kennedy. Play back half footy which is wholey unsustainable (of all people we should understand this). Game plan is predicated around limited the damage on the scoreboard while playing rope’a’dope in the back half and hoping their one superstar forward can kick a bag. Their last 13 finals they’ve kicked 7 goals of less in half of them. This year they lost 7 games at home, their worst since 1994. Their superstar forward is in decline. His body and the teams reliance on him is catching up with him. Their ball movement is too conservative and and their midfield is slow. They are in a world of trouble if Horse can’t find another game plan that revolves around trying to grind out a win through dour defensive football. They need to find other avenues to goal. They need to improve their ball movement out of sight. They need to find some players with pace and class and not choke them of all instinct and star power through a boring and unimaginative game plan. They may make finals year on year but the way the game is changing they’re miles off the pace for a flag. 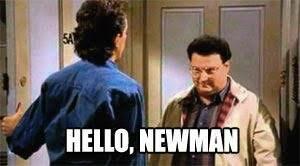 Newman off to the Suns apparently. Close to Dew. Swans will turn this around in a big way, list-wise. Still, I think that miserly ■■■■ Longmire is probably the least appropriate coach for Buddy. If I were Buddy watching Longmire’s pathetic defensive tactics and waiting 20 minutes for the ball to come into the forward line I’d be ropeable. They’ve missed a big chance to win a flag with Buddy IMO. A left footer from Frankston you say? Now before all you nerks get all tingly at these requests for trades, J Lloyd is the one the can ill afford to lose. And he hasn’t asked to be traded. Apart from S Mumford, Sydney don’t tend to lose players they don’t want to lose. And before you arc up and bellow “what about Mitchell” in a high pitched squeally voice, Hawthorn got his signature for only a little bit more than Sydney were offering. If he was required, he’d still be there. In fact, anyone could have got him if they wanted. cool story. kept all those players. didn’t win flag. now on the precipice with a one dimensional pig headed coach and some ageing stars. before all you nerks get all tingly at these requests for trades, J Lloyd is the one the can ill afford to lose. And he hasn’t asked to be traded. Swans list management team were a bit dumb prefering paker and hannberry over Mitchell IMO. Should have let hanners go a few years ago. Swans had to lose Mumford to fit Buddy in the cap…they wanted to lose Mumford. Only way they kept him was not to get buddy. And swans signed lots of players up on long term contracts to get full benefits of Cola…ie buddy will still get cola paid until he retires or signs a new contract.